"The Captain Says You're A Friend. I Will Not Kill You!" K-2SO from Rogue One, a Star Wars Story. 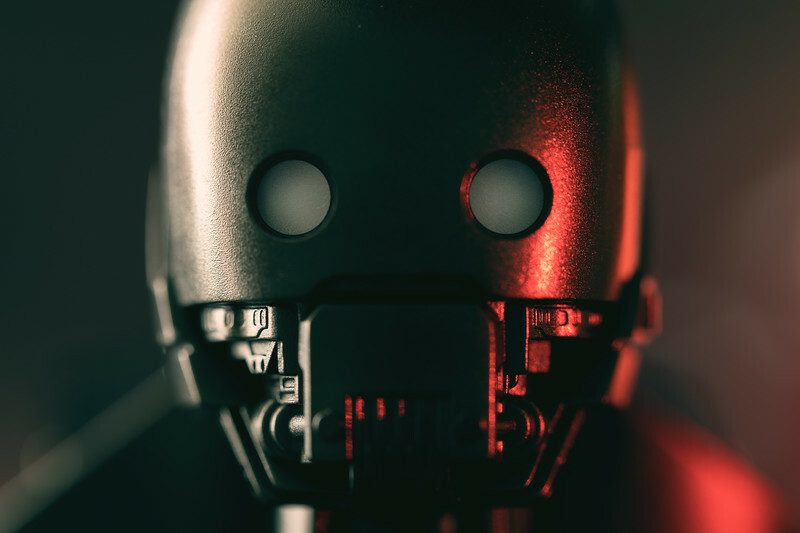 Cinematic headshot of the droid.